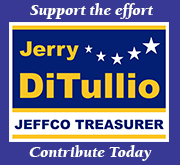 Thanks to the voters of Jefferson County for supporting Jerry DiTullio for County Treasurer! 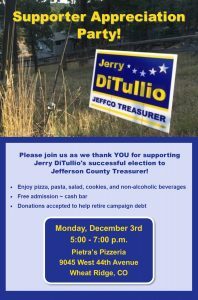 Wheat Ridge City Treasurer Jerry DiTullio has been officially elected as your Jefferson County Treasurer, with the swearing in taking place January 8, 2019. 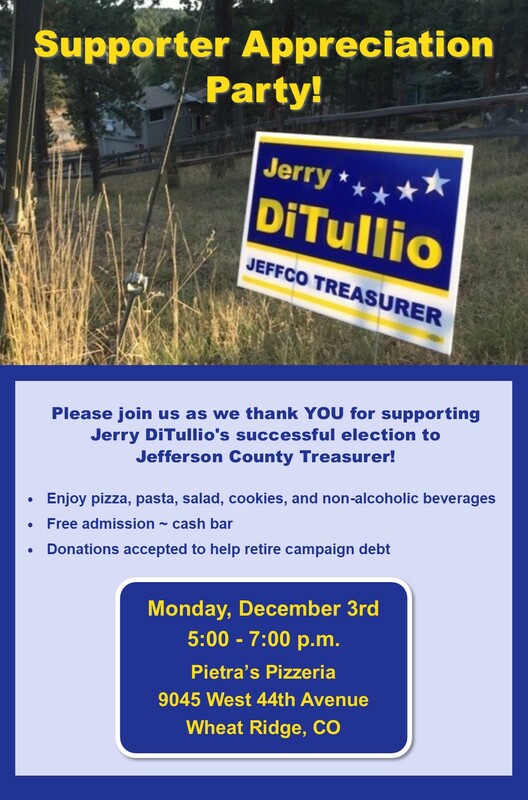 Please join us at Pietra’s Pizzeria on Dec 3rd for a victory party!